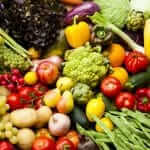 Many people choose to switch to a vegetarian diet instantly, and completely give up all meat, poultry, and fish. Others make the transition by gradually eliminating those foods from their diets. There is no right or wrong process, so do whichever works best for you and your body. 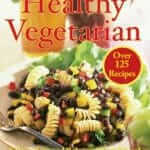 Living a vegetarian lifestyle and creating healthy vegetarian cuisine is as hard or as easy as you choose to make it. Some people enjoy planning and preparing elaborate meals, while other opt for quick and easy vegetarian dishes. Some choose a combination of the two. When you make the change to vegetarianism, remember that being a healthy vegetarian is not just about eating an abundance of fruits and vegetables and avoiding meat products. It is also important to make sure your diet is balanced and includes all the vitamins and nutrients your body needs to stay healthy and function properly. Without the proper balance, you may actually do more harm than good to your body. 1. Don’t limit your meals to only traditional vegetarian meals. A variety of foods that typically contain meat, fowl, or seafood can be prepared vegetarian by making simple changes to the recipe. Try these: bean burritos or tacos, vegetable lo mein, pasta primavera, vegetable pizza, tofu-vegetable stir fry, vegetable lasagna, or pasta with pesto or marinara sauce. 2. Plan and create your vegetarian meals around naturally low-fat protein sources (like rice, lentils, or beans). 3. Be cautious of compensating for the absence of meat in your meals by loading them with too many high-fat cheeses and other foods. Just because they fit the description of vegetarian does not make them good for you! 4. Consider using vegetarian meat substitutes (like tofu, tempeh, or wheat gluten) to your soups and stews. They add more protein without adding unwanted cholesterol and saturated fats. 5. Eating out doesn’t have to be a thing of the past. If you do not see vegetarian meals listed on the menu, simply ask. Restaurants that make food to order will often accommodate vegetarian customers by substituting vegetables or pasta in place of meat. Some restaurants — especially those that serve Asian and Indian cuisine — also offer a variety of vegetarian dishes on their menus. 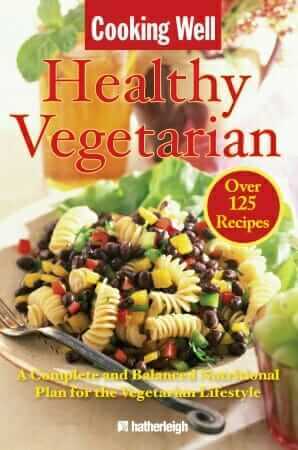 Nutrition healthy vegetarian, vegetarian permalink.